A lovely member of our extended family is pregnant with her first baby and due in a couple months, which is great news for us as not only will there be a gorgeous newborn baby (who I don’t personally have to look after) around for cuddling this Christmas (omg I’m agog with excitement!) but we get to finally start sharing (offloading) all the baby stuff I have been saving up for her! She came round yesterday to peruse our collection and take things, which got me thinking to write a post on baby stuff, which I’ve been planning to do for a while. This isn’t an exhaustive list by any means, but just a list of the favourites. I’ll write a list of the actual essentials from my point of view, another day soon! Please note this post contains some affiliate links, but all opinions are my own and I only recommend products I truly love! We received this towel as a gift and it is still going strong almost 8 years later! 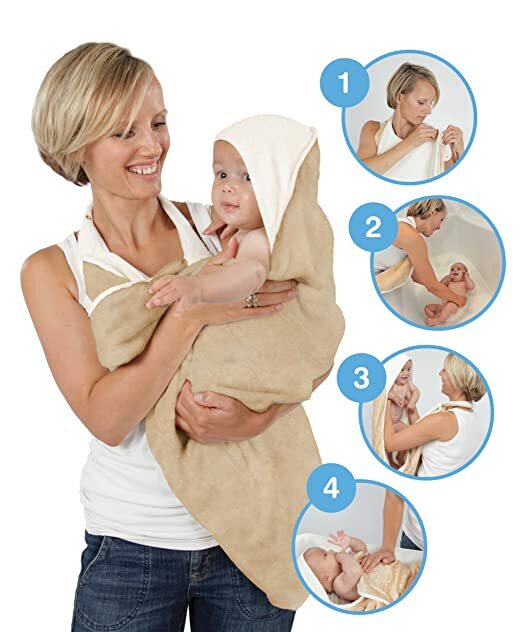 I found it indispensable at bath time, as very simply it allows you to have the towel ready and on hand, without you having to use your hands to reach for it and secure it against you while you’re trying to pick your baby up out of the bath, which can be a tricky business when they’re wet! It makes a job that requires four hands a complete cinch with only two. The towel is also beautifully soft and very large, so it envelopes a newborn perfectly, with a hood to keep baby’s head warm. Baby seemed to live in this swaddle blanket for the first few months of his life! He just slept so much better if he was swaddled, and this blanket was lightweight and difficult to wriggle out of. 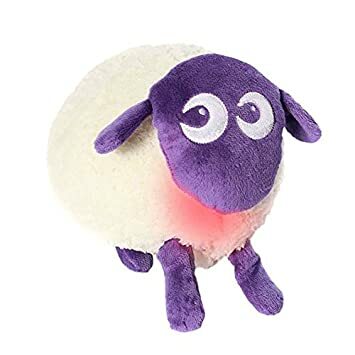 Previously with my older two I had used a Velcro blanket, but this quite wonderful invention has no poppers or Velcro (which can really grate on the ears in the night!) It takes a little guidance initially, to work out how to swaddle baby with it, but it’s worth investing that time in learning! There are many instructional videos available. 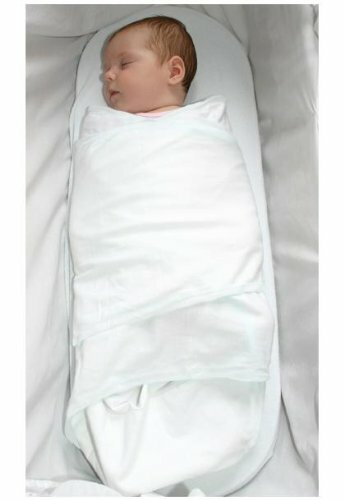 Miracle Blanket Swaddle (White) is available at amazon.co.uk, and in other colours/patterns though we got plain white as I like that best for a tiny baby! An absolute must! This bouncer may seem overpriced but it’s been worth its weight in gold. Baby loved being in it and would take little catnaps, and the gentle bouncing was great for soothing them when they were fractious. Remarkably the little movements baby made would allow the bouncer to move gently up and down without my intervention. 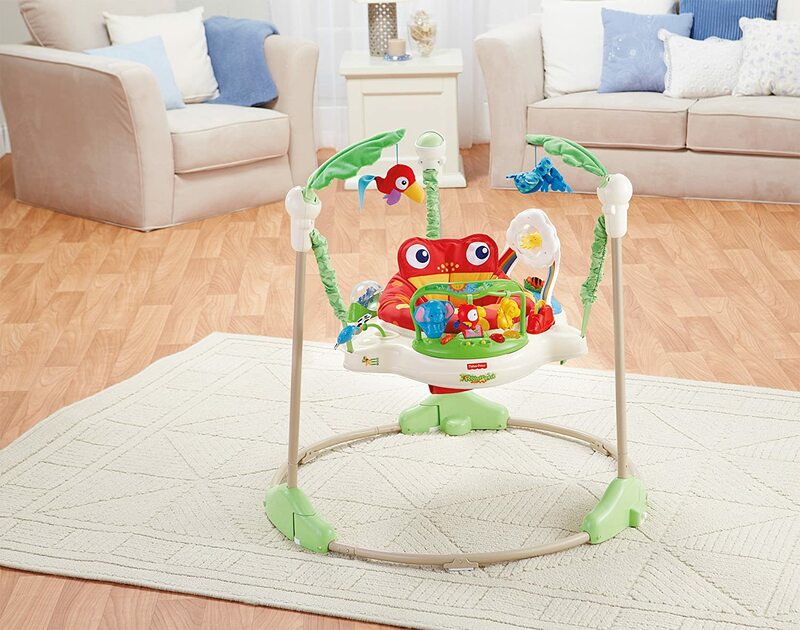 Baby tends to use it most pre-6 or 7 months old (when they tend to start sitting) but those are crucial times during which keeping baby happy is a huge priority! It has lasted years and we have even lent it to a friend, so it’s going to be on baby number 5 now! I see it also has decent resale value, and the cover can be machine-washed. We have literally just packed this away a couple months ago and my youngest is now 22 months! Ok I’ll admit he was in it much longer than most, but it certainly was a firm favourite from the age of 4 months. It does take up a fair bit of room, but again…so worth it. Wish we had this when my oldest was a baby! Kiddicare are currently selling it for £89.99. It’s a big outlay but it seems to be built to last. Both our boys have used it and we’ll be passing it on now as it is still in great condition. Worth its weight in gold, we have been known to bring it with us on holiday! We take this pretty much everywhere we go, now that we have a video monitor I can’t imagine not being able to see my baby and to only hear his cries! Not exactly an essential but it really helps to be able to see what they are up to when you leave them sleeping in their room. For example when they wake are they just tossing and turning or are they standing up looking cross!? Good to know. 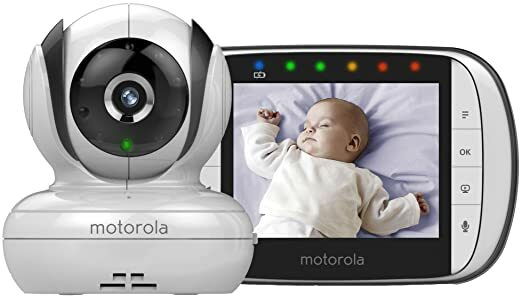 And this monitor has very good reception, sound and picture quality, and the camera unit can be easily operated by the parent unit to point in almost any direction. We got a huge amount of use out of our Babybjorn carrier, especially in those first 3 months, but my husband used it for much longer. I also used the ergobaby 360 carrier, which I felt was less laborious for my back when baby got older, as the hips take some of baby’s weight. It was a little awkward to put on in a hurry though, whereas the Babybjorn was super quick, and when trying to soothe a colicky baby that actually was our go-to carrier. I notice that Babybjorn now have a carrier that has a band around the hips, so I think I would choose this one if I were to ever require another baby carrier! A must-have. 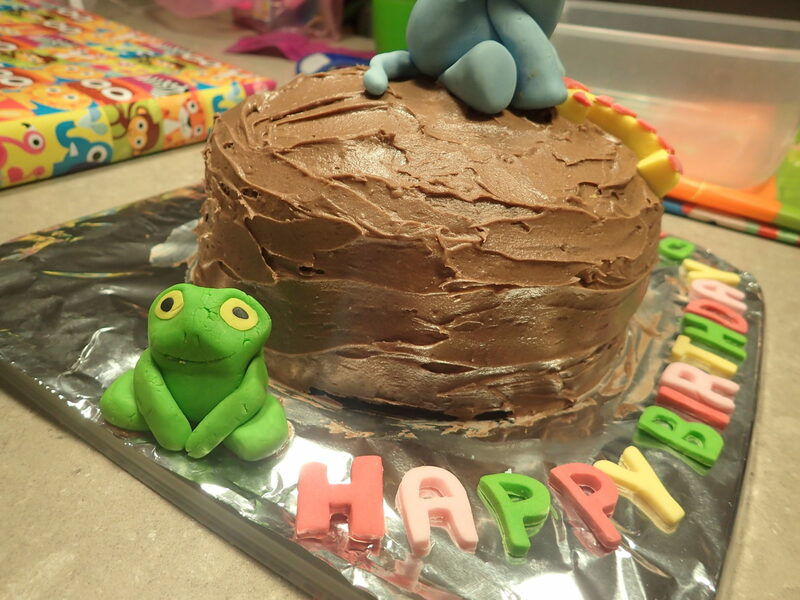 I have to admit in the end though, I was more of a buggy person as I just prefer not to risk spilling tea and getting cake crumbs on my baby’s head, what can I say! In all seriousness though, our babies loved being in the buggy, and it meant I had somewhere to hang my changing bag and stash my shopping bags! Kiddicare is currently selling the BabyBjorn Baby Carrier Miracle Black Silver (pictured below) for £76.99. You can wash these in the sink AND the washing machine. Importantly my babies found this bib comfortable, which allows for a much better mealtime experience. Waterproof but absorbent, and soft yet has a section which efficiently collects any dropped food. The gold standard in bibs. Perhaps you’ll think I’m crazy recommending a specific bib…but once you realise how good they are compared to other types you’ll hopefully see why. Still using these and in fact onto my second pack because I misplaced a few and just generally needed more. 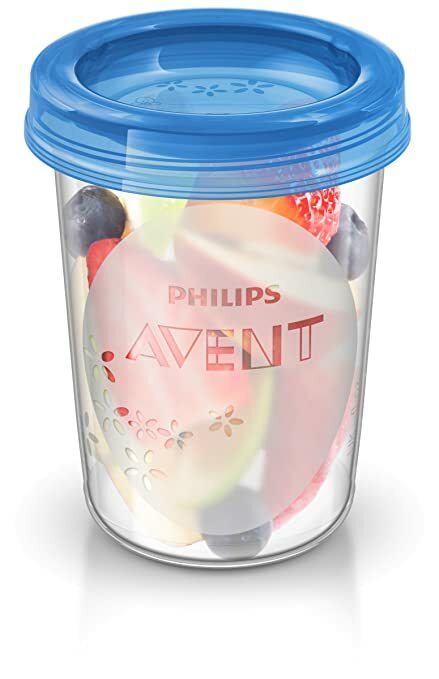 Great for weaning, fill them up with all your purees and whatnot, stick them in the freezer, bung them in the microwave when it’s time to eat, bingo! And when the baby is older great to hold snacks eg. pieces of fruit, veggie sticks, cereal, rice cakes and even mini-meals for picnics eg. tuna pasta salad, all pre-portioned and ready to serve up. They come in two sizes (180 and 240ml) in this pack which makes them really versatile. Really handy, keeps baby at just the right height while you’re feeding, so you can conceivably feed with your hands free! Just the right size and with a tie so it stays in place nicely on your lap. It also keeps you from hunching over while feeding baby, and if you happen to have had a C-section let’s just say it helps to have a comfy cushion on your lap between you and baby. Much more portable than the huge V-shaped cushions, though I hear those are good too. Finally, I can also recommend downloading a white noise app, there are many available for free on appstore. So useful, for those times when you haven’t got Ewan with you! If you’re already a parent, what baby things do you or your child just love? Leave me a comment I’d love to hear from you! Thank you for your comment! Yes the Jumperoo has been so fantastic…and it seems built to last! 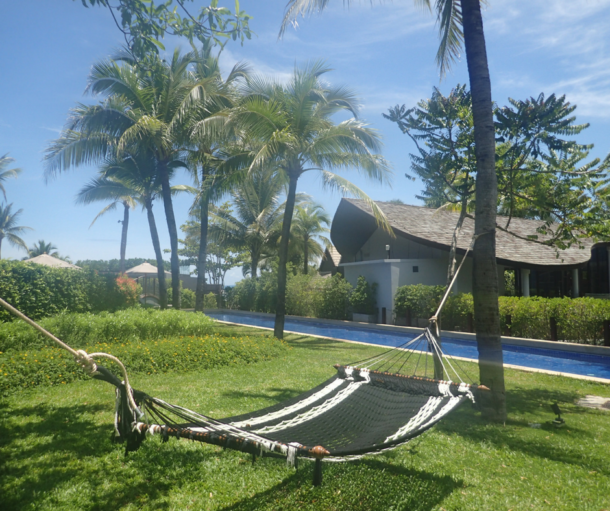 Not sure if I mentioned in my post but my son even fell asleep in it a few times, “jump, jump, snore…” Lol!